It is sad to see that world architecture has continued the trend to have a dominance of the boys in their decision-making – this picture says it all! The profession of architecture had the opportunity to lead the world with innovative design solutions to deal with the issues of climate change and urbanisation . I suggest this will not be possible as the profession continues to ignore the majority of the population – being women. Looking at the jury make-up above, it all points to the fact that this profession has not seriously dealt with this fundamental equity issue. 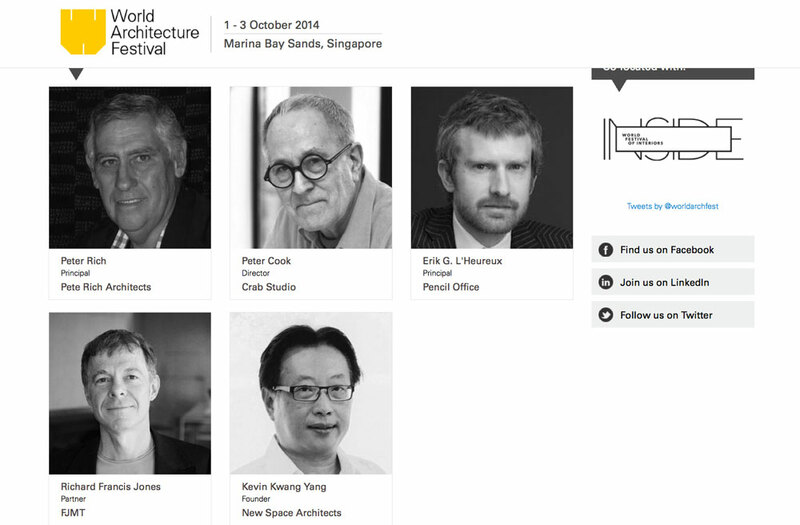 Surely by 2014 the architectural professions could have done something about gender balance. Here’s a hint on how they could achieve this – click here. It is just very much up the individuals to take action. Any single architectural professional should not just wait for their association to deal with this equity matter as that will never happen! I suggest any jury member should insist on an equity balance, as for them not to have done so means that they agree with the final result and are part of the message to women.